Medtronic is among the world’s largest medical technology, service and solutions companies – serving physicians, hospitals and patients in more than 150 countries. As an industry leader in the area of biomedical engineering, the company was seeking a way to improve the process used to make their spinal implants. Armando Ocasio, senior program project analyst at Medtronic, has a history of using GWS Tool Group products and the first call he made was to Josean Perez, technical specialist at Mahar Tool Supply, the distributor for GWS Tool Group products in Puerto Rico. Spinal implants, made of PEEK (polyether ether ketone) material with a pressed in titanium pin, are used to help correct various issues in the spine, such as severe scoliosis. These implants have serrations on both sides of the implant to ensure that they stay in place when surgically inserted into the spine. Medtronic was producing these implants on index turret lathe machines, which they found to be slow and costly. A move to a swiss style lathe was in order. To do this, special tooling was needed. Tomas Roman, director of inside sales at GWS and his team looked at the application and developed a progressive tooth form cutter to produce the entire serrated section in one cut. Samples were sent in a matter of weeks, along with complete engineering specifications and an explanation of how the tool should be run and why its design would yield better results. The first iteration of the tool worked perfectly and created a flawless finish on the part. This was extremely critical to Medtronic because PEEK material is fragile and cannot withstand a lot of machining pressures. Armando was extremely impressed since other companies had tried to produce these types of tools and were not able to provide the same level of quality and reliability. He said the new process is much better than what they were using before. Medtronic also is a high-volume manufacturer of bone screws, using a process called thread whirling. This method is mainly used in swiss style lathes, and employs a live cutter body that has multiple inserts encircling the bar stock. These cut the thr ead in one pass as the bar stock is rotated and pushed through the cutter. This is much faster than single point threading inserts which require multiple passes to accomplish the same task. Each whirling insert is custom designed to match the actual thread form needed. To say these are complex to manufacture is an understatement. The rotation speed of the bar stock combined with the angle of the cutter (helix angle) and the feed rate (pitch of the thread) produces the desired thread form. The diameter of the bone screw will also dictate the design of the inserts due to the fact that the helix angle will change over different diameters, and the thread form on the inserts will have to be corrected as the helix angle changes. Manufacturers like Medtronic use upwards of 50 or more proprietary designs, each of which are used for different bone screws. Over the years GWS has supplied over 90% of all the whirling inserts for the Medtronic Puerto Rico facility. GWS has also implemented a regrind program for the whirling inserts. Due to the large volume of inserts being used, GWS is able to offer this program to Medtronic, further reducing the overall cost of the bone screw production. GWS has also been developing a new grade of whirling inserts. This new grade is called the Zombie Whirler – because you just can’t kill them, and they never seem to die. GWS has done testing in several applications and have had extremely good results, beating the competition by up to 2 times tool life and more. GWS is introducing the Zombie Whirlers into Medtronic to once again reduce the overall cost of the whirling process. Once again GWS was called to improve another manufacturing process. This time it was a step drilling application. The Michigan division of GWS stepped in and designed a step drill that improved the current tool life by 30 to 45%. GWS was not happy with that, so the engineers at GWS went back to work and created a second version in just a few days that increased life over the previous mark by another 50%.This was achieved by implementing a new substrate and edge preparation along with a special Avatech coating. 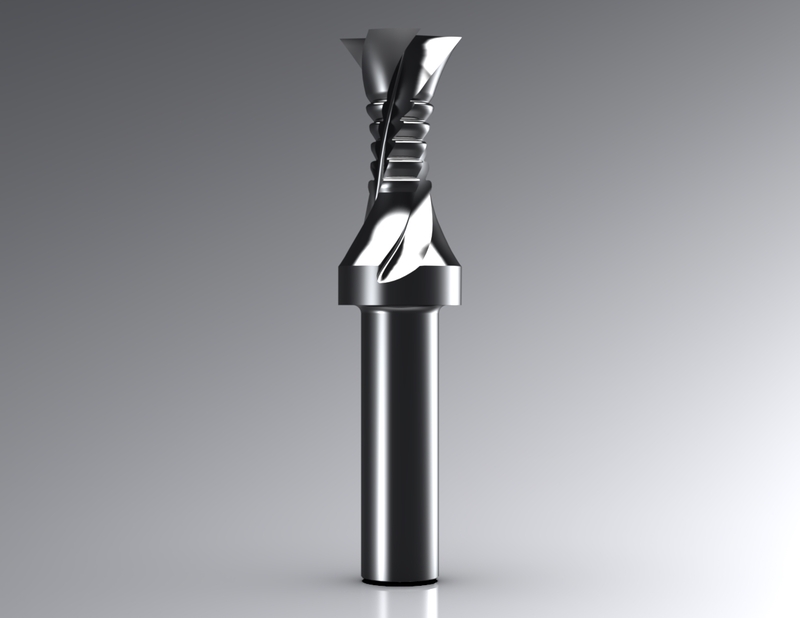 With a thickness of only 1.5 microns, this coating is ideal for drilling as the cutting edge remains sharp with out rounding or build up encountered with thicker coatings. In addition, elements in the coating are designed to enhance heat and wear resistance when machining. “GWS and Mahar support has always been top notch,” Armando said. “They come to us, walk around the machines, and tell us what we could be doing better, what needs to be changed or come up with a new tool that is a better fit for a situation.” This personal attention allows Medtronic to be in front of cutting-edge technology and provide superior products to their customers. Do you have new application you need help with? Would you like to explore the enhancement of an existing tool to improve on a current process? Please contact us and we’ll discuss ways to save you time and money and increase performance.